Home Decor can be expensive and for sure sometimes we can feel overwhelmed by all the choices that we find at the stores. 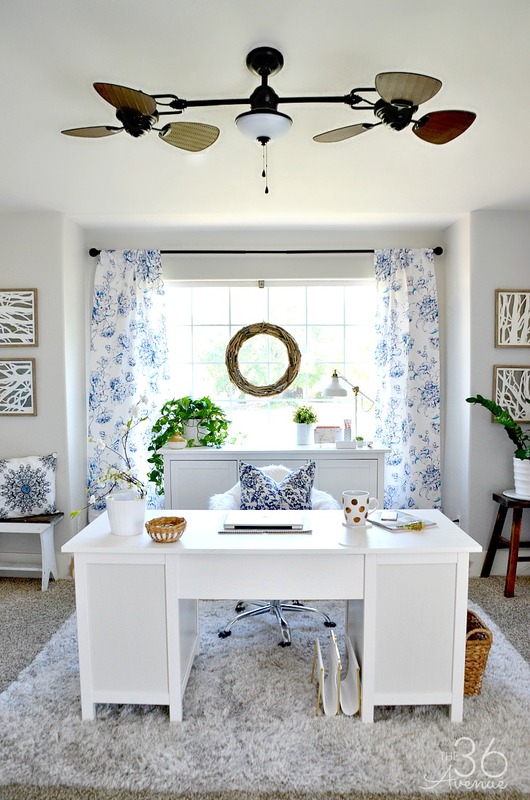 A great way to decorate your home without feeling like you have to spend too much money is giving the things you already have a makeover since you bought them in the first place because you liked them. 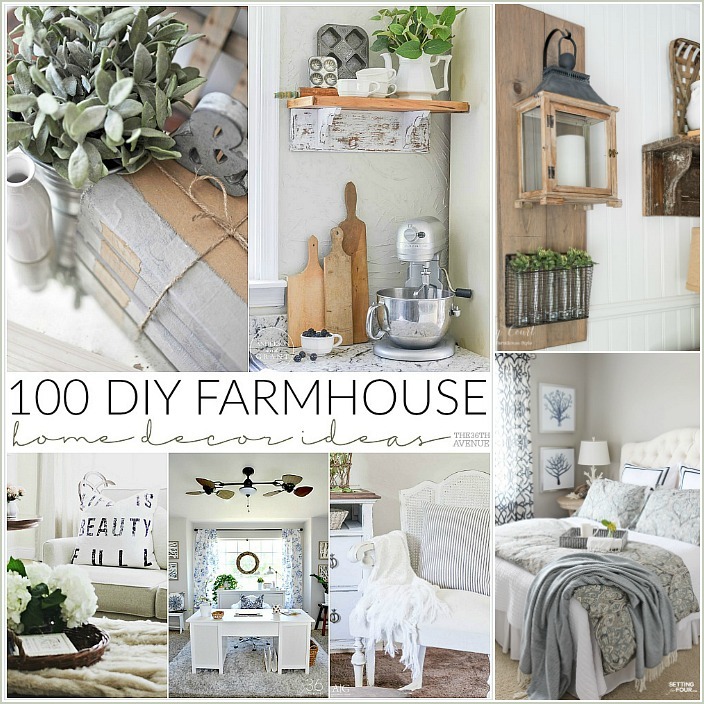 Today I’m sharing a bunch of fabulous farmhouse home decor ideas that have been shared overt time at our link party. Our readers often ask me how they can get featured on the blog. 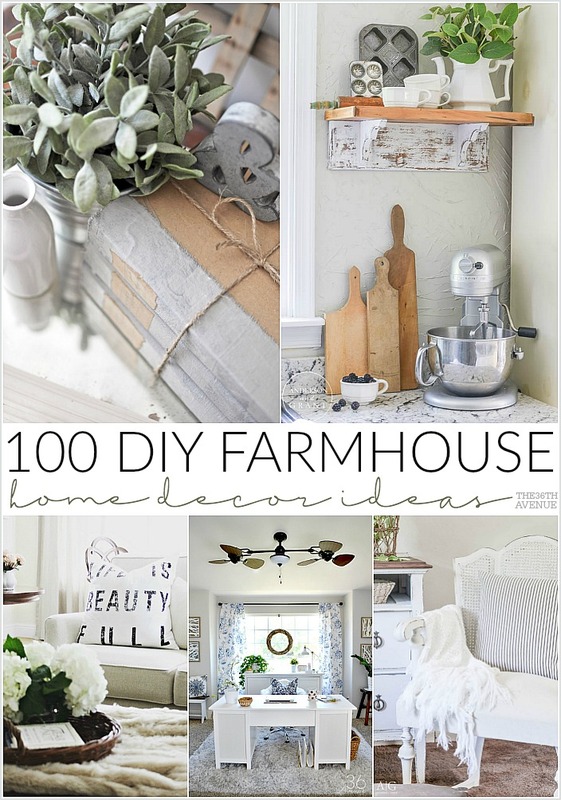 If you have a great recipe, home decor or DIY idea that you are proud of make sure to share it with me! I host an awesome Link Party every Friday starting at 5:00pm MT, right here at The 36th Avenue. You never know! You may be featured next as one of my favorites! 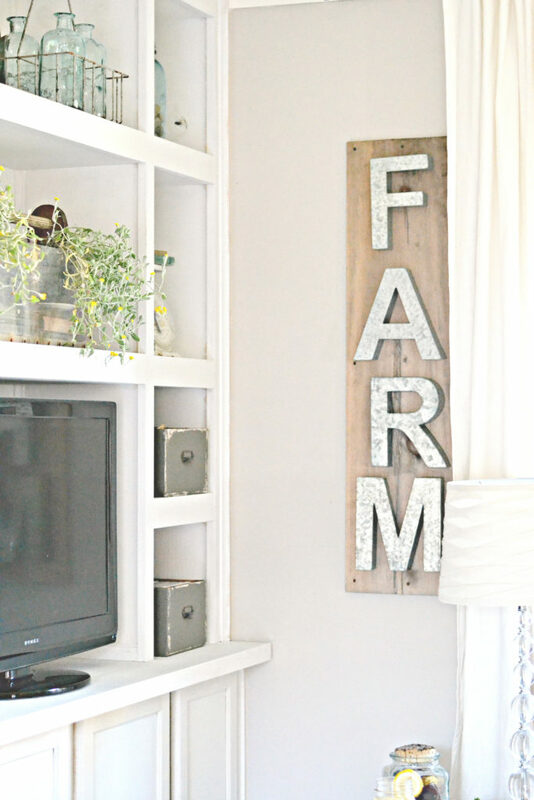 The projects that I’m sharing today are beautiful, and have in common the timeless charm that you find on farmhouse decor. Let’s take a closer look at some of my top faves! I have a bunch of old books that I never put on display because they don’t look that good anymore, or the colors don’t match my current decor. I love this idea so much! 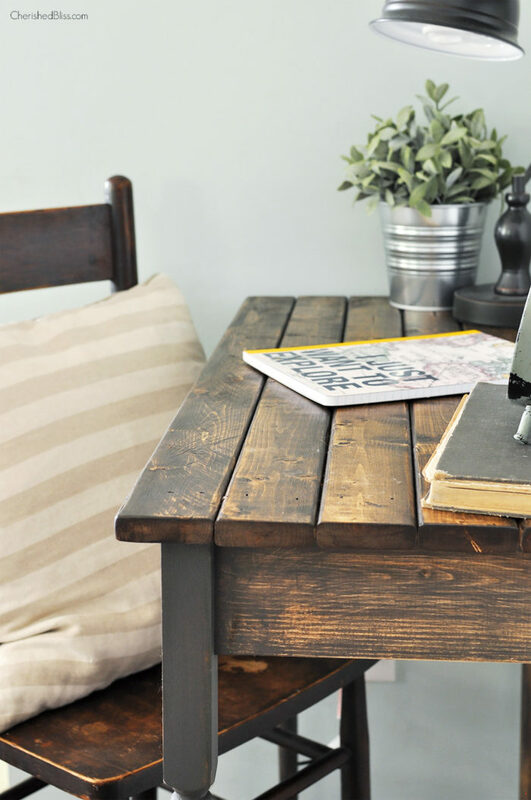 What a fabulous way to turn old books into decorations. This makeover is so fun! All these beautiful colors make me happy and besides I love anything and everything that has flowers on it! This chair confirms that we should never underestimate the potential of an old piece of furniture! Look around your house and see what treasures you can find! 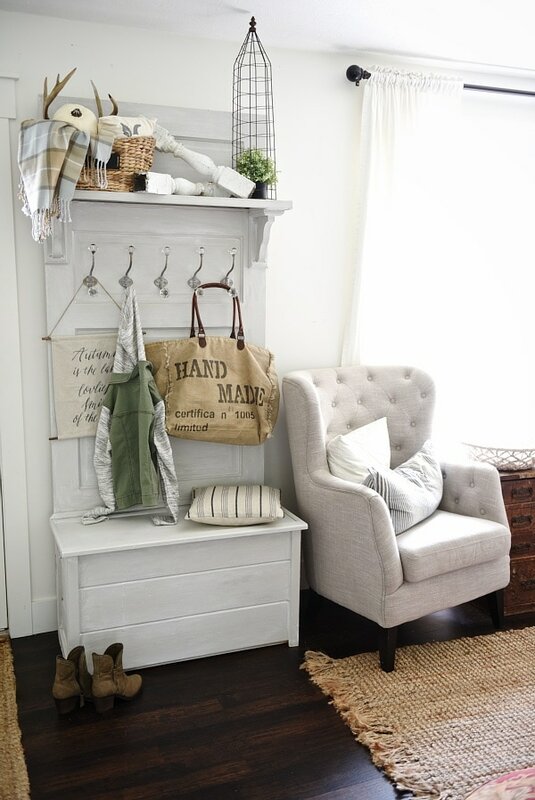 What a great way to bring farmhouse charm into any space. These pillows are adorable and I was surprised how easy they are to make! You won’t believe how this dresser used to look. It makes me want to explore more yard sales and go visit my local thrift store. 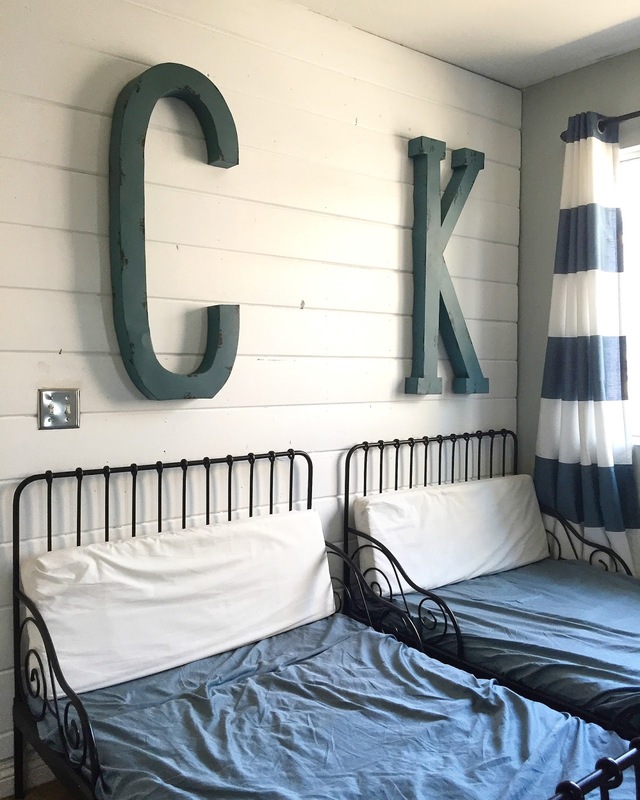 I love how Nicole used these huge letters that she found on sale to decorate her boy’s room! I also love what she did with the wall! 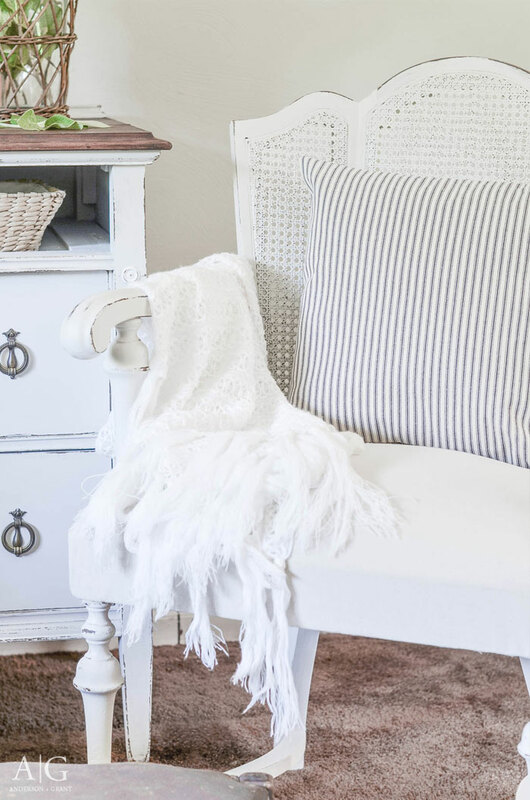 There is a charm in old furniture that you can’t find in new pieces! Paint to me is like makeup for furniture! 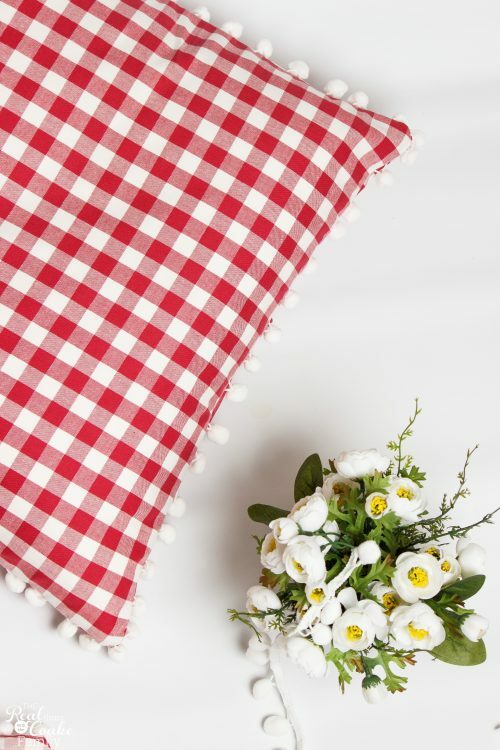 The little details are what make a house a home! 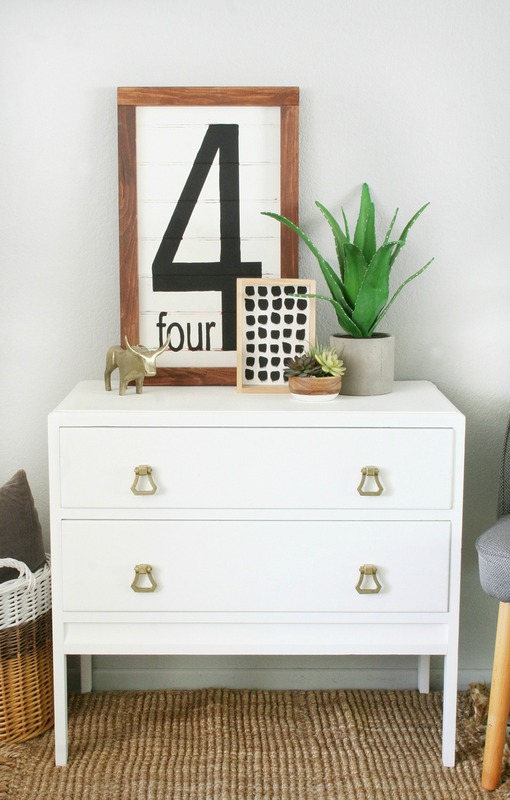 I’m in love with this DIY sign and her decor style! This is where I get to work everyday… I know I’m a lucky girl! I love blue, green, and white together. It makes everything looks so clean and fresh! Can you believe this table was handmade? Amazing! 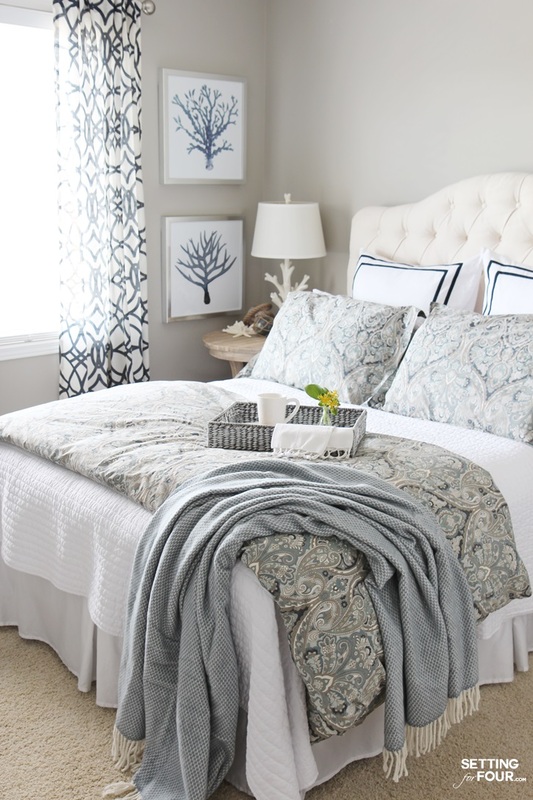 This is the queen of all guest rooms. Classy and timeless for sure! 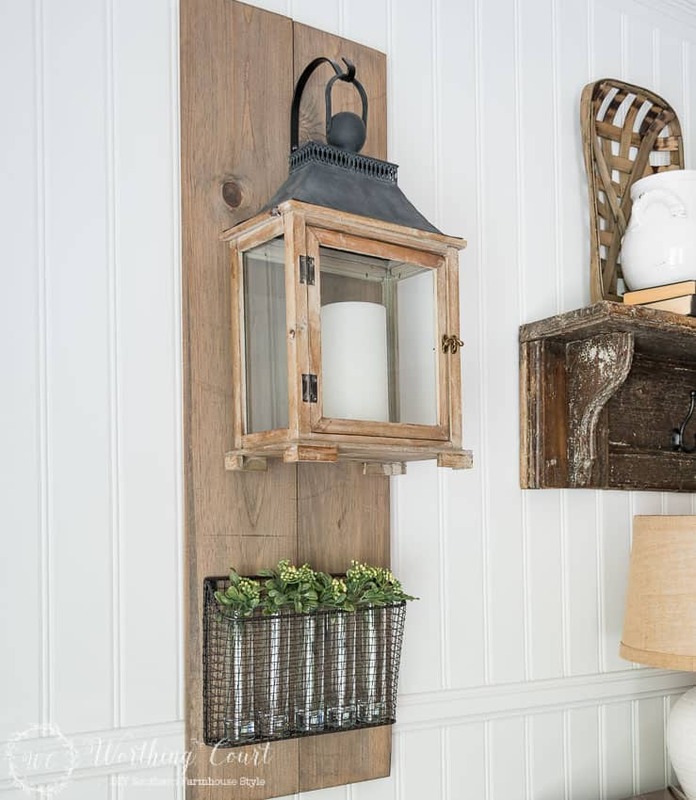 Such an easy DIY project… This lantern would look great in an entryway! 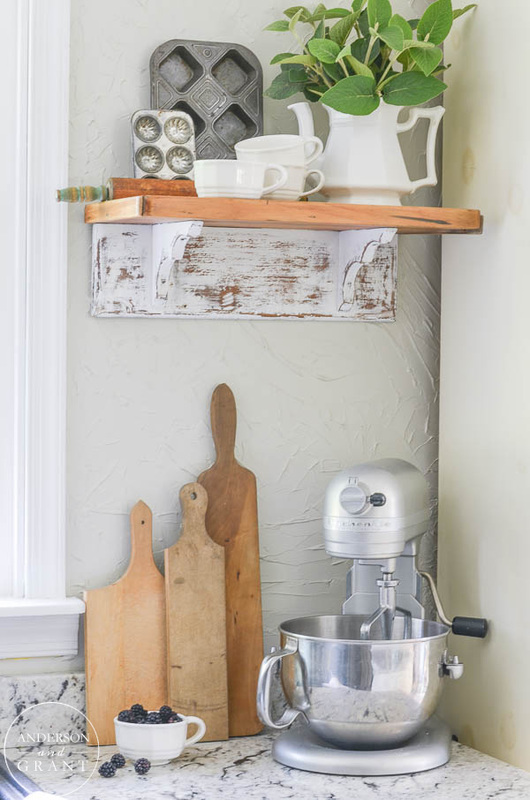 I love the transformation of this cute shelf! This kitchen has so much character and it looks gorgeous! 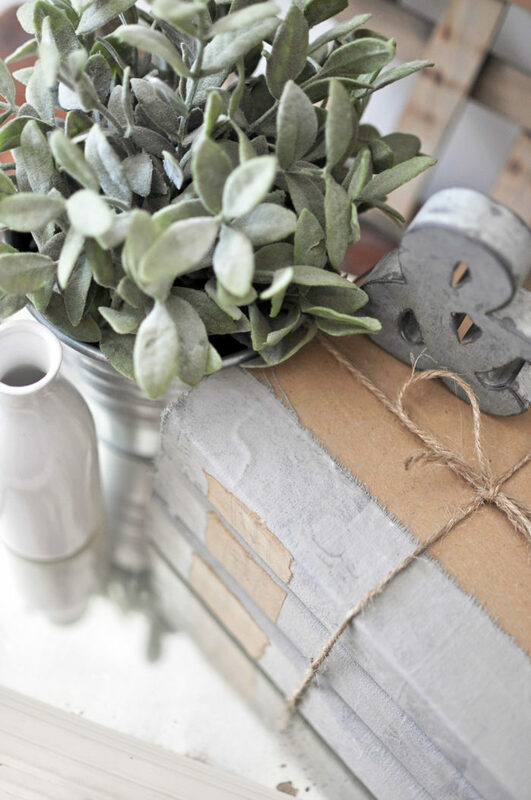 This is a beautiful home decor accent for the outdoors and anyone’s front porch! Here are a bunch more to be inspired by and choose from! 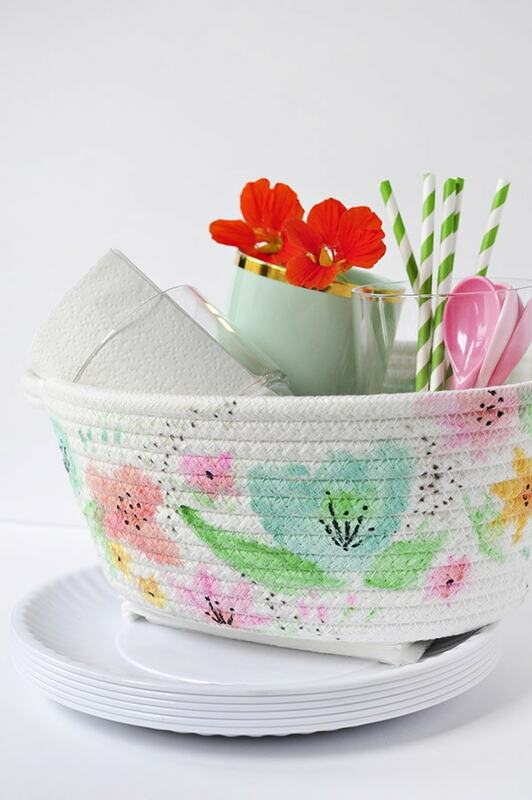 Click HERE for the next 25… So many beautiful DIY Home Decor Ideas! Wishing you all a gorgeous day! Thank you for sharing our family room!